Ice skates; a pair of ice skate attachments for boots, each consisting of a wooden baseplate with leather straps and a steel skate blade. The toe strap is missing. 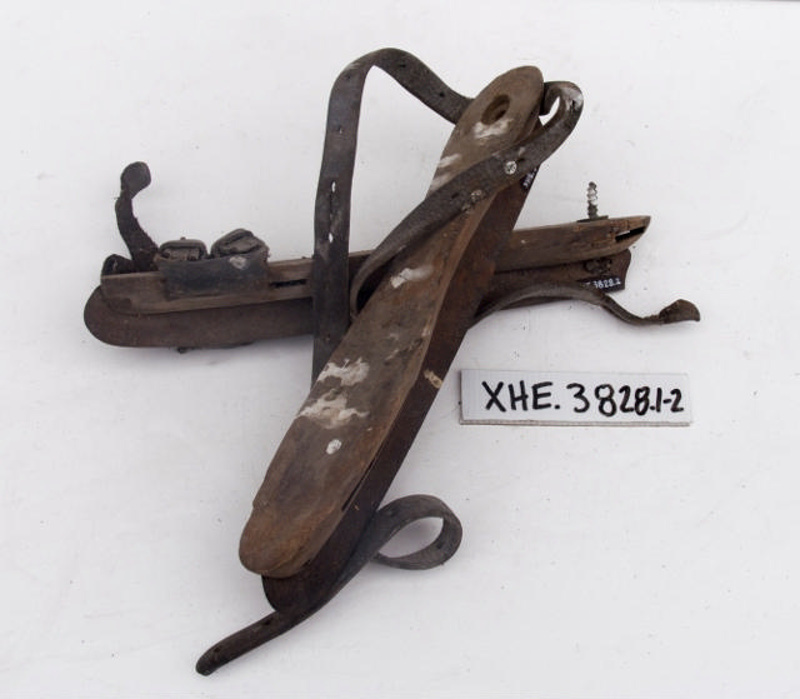 This pair of skates is homemade and well-loved and the engineering works would have been a perfect place for making objects such as these. The Otago winters surely would have been an enjoyable time of year.